If you’ve spent much time in business, you’ve likely been through an excruciatingly painful budgeting process. Finance may have handed you a top-down number, forcing you to build a bottom-up plan to achieve it, only for you to realize it wasn’t possible. Or, you may have had the unfortunate responsibility of trying to rebalance budgets across multiple teams only to see knife-fights erupt as the teams attempted to protect their turf. Worse, if you’ve had responsibility for marketing channels that are more difficult to track and measure (TV, radio, print, and even digital channels such as display, social and video), you may have found it extremely difficult to make the case for further investment, much less try to fend off finance-driven budget pressure. If this all sounds familiar, then you’ll know why OptiMine’s launch of our Intent marketing budget planning and optimization platform was so impactful. When we started down this path a few years ago, many marketing teams and leaders weren’t ready to have an algorithm guide budget decisions, but then something very interesting occurred: as our clients became more comfortable and confident in our cross-channel measures and the sales lift they were generating, they started to ask OptiMine, “can’t your machine learning algorithms- that already know the best answer- simply tell us how to spend our budget?”. Luckily, we were ready for this question, and the technology, data science, advanced mathematics, and automation required to answer it. OptiMine’s Bid Optimization Roots Pave the Way: Our extensive history in bid optimization prepared OptiMine for the incredibly difficult challenges of cross-channel marketing optimization. OptiMine had deep experience in building, scaling and automating billions of optimization computations daily- and being able to measure, demonstrate and prove the financial lift generated by them. Our experiences and learnings in paid search optimization provided the right proving ground to pave the way to full cross-channel marketing optimization at a level and depth never before seen in marketing analytics. Many of the company’s earliest search bid optimization contracts were performance-based, meaning that if we couldn’t generate financial lift, we didn’t have a business. There’s nothing quite like this business model to drive innovation, skill, and high performance, and OptiMine got really, really good at optimization. Fast forward to OptiMine Intent and our brands asking us for the right answers: Intent began to radically alter and disrupt the traditional budgeting process. Once OptiMine Intent was in the hands of our brands, they became incredibly active and collaborative in the budgeting process, creating dozens of what-if playbooks, and running many scenarios across their constraints, goals and desired outcomes. What if finance gave us another $10 Million to spend this quarter, where should we spend it and what will that do to sales? If we moved some spend from some lower productivity campaigns in one channel and placed these dollars in our best areas, how many new accounts will we generate? If we didn’t have a budget cap and could spend to a ROAS target, what would OptiMine’s algorithms prescribe for an optimized marketing allocation? Teams use OptiMine Intent to create real, hard-data business cases for their finance partners for budget allocations and to get these answers in a fraction of the time. This is what we call “Agile Marketing Budget Optimization”. This disruption has led to incredible results. One large brand took OptiMine’s guidance in a highly precise and targeted use of TV, tested it in market, and confirmed OptiMine’s guidance generated a lift of $18 Million in operating income. Another brand marketer couldn’t make the case- prior to using OptiMine- that investing more in digital would drive more in-store retail sales, and as a result, the finance team never allowed any budget increases. OptiMine Intent showed the right level of investment and the leader convinced finance to more than double digital spend, and the sales growth results matched OptiMine’s forecast. We’ve had brands optimize for foot traffic in retail stores, credit card acquisition in bank branches, new customer acquisition through digital and agent channels, in-app purchases, app installs, sales driven by printed circulars, the right mix of search/ social/ display/ video, and the list goes on and on. 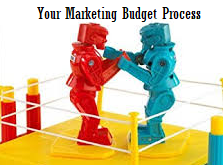 And, by accounting for ALL marketing and converting channels in a truly comprehensive cross-channel approach, the budget food fights, turf battles and bad decisions have been reduced significantly (although not stopped completely- human nature being what it is). If you’re a brand with a complex cross-channel ecosystem and a budgeting process to match, we’re here to help. Just don’t ask our algorithms to take sides- they already know the right answer.